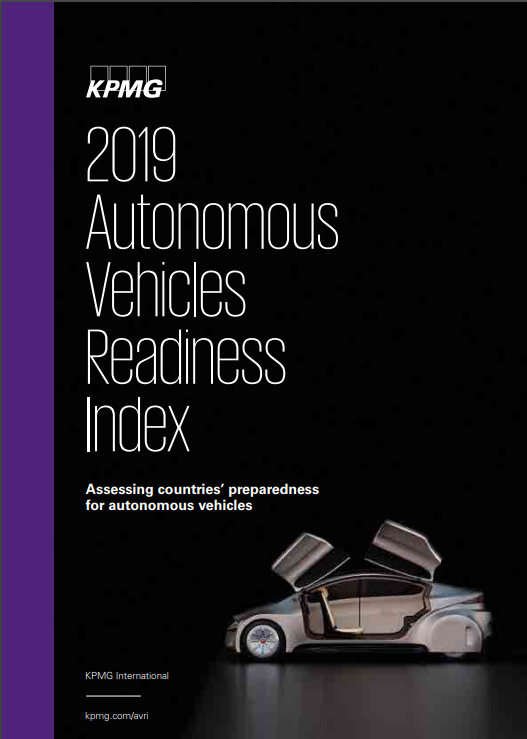 2019 Autonomous Vehicles Readiness Index | Econsult Solutions, Inc.
ESI ThoughtLab has been working with KPMG to update the Autonomous Vehicles Readiness Index (AVRI). Since the first AVRI was published in January 2018, there has been a huge acceleration in investment in autonomous vehicle technology, policy adoption by governments to encourage autonomous vehicles, and media coverage of the topic. The 2019 index adds five new countries (Czech Republic, Hungary, Finland, Israel and Norway) for a total of 25; new measures including a consumer opinion poll on AVs; and provides greater insights into individual countries, drawing on the expertise of colleagues across the KPMG network. Countries were assessed on 25 different measures within four pillars: policy & legislation; technology & innovation; infrastructure; and consumer acceptance. New this year, is consumer opinion research to better understand public sentiment about the technology. The findings revealed a striking correlation between countries lower in preparedness having the most positive opinion regarding autonomous vehicles. The results of the 2019 AVRI tell us that all countries are making progress toward a future with autonomous vehicles. It shows that governments are prioritizing the modernization of transport and taking steps that consider the real-life impact of driverless cars and trucks.